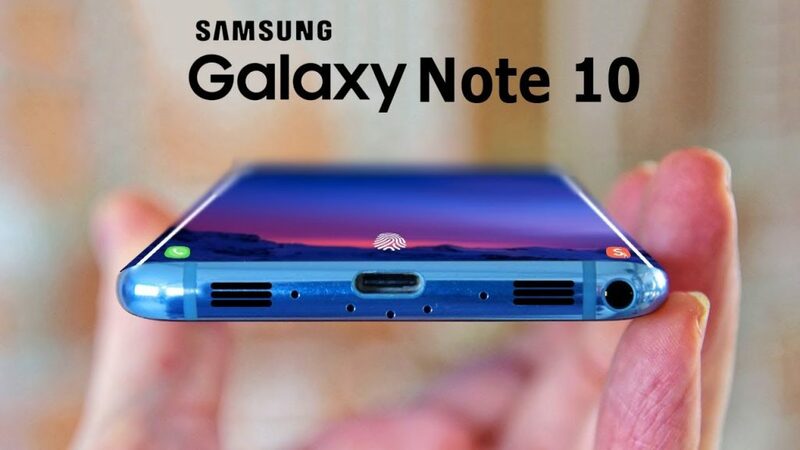 The Samsung Galaxy Note 10 is likely to be launched only early next year. But already talk is mounting about the new features it will have. Last month, South Korean newspaper The Bell reported that it could feature a 6.66-inch Super AMOLED screen with a 4K resolution and HDR support. This will be bigger than the Galaxy Note 9’s 6.4-inch display. Igeekphone has now confirmed that the device has been codenamed “DaVinci” and is set to be priced at US$1,770. According to several reports, manufacturer Samsung could chiefly use the Samsung Exynos 9820 SoC on the phone. In some regions it could be powered by the Qualcomm Snapdragon 8150 SoC. The Samsung Galaxy S10 will most likely be launched first in March. According to a leaked patent, the device could feature a cut-out on the display to house the front camera. It will have three cameras at the back with a regular lens, an ultra-wide-angle sensor and a telephoto lens. Some reports suggest that the main camera could be paired with a 12MP sensor that has been used on Samsung’s previous phones. The 12MP lens might feature 1.4µm-pixel pitch and support dual aperture (f/1.5 and f/2.4). The telephoto lens could have a 13MP sensor with f/2.4 aperture and 1.0µm pixels. Both the rear and front cameras could come with Optical Image Stabilisation (OIS) like the previous generation of Samsung phones. However, the third ultra-wide camera, a new addition, is expected to feature a 16MP sensor. This lens will reportedly have a 123-degree view, but will not have the OIS feature. Samsung recently introduced new notch designs and gave a glimpse into its Galaxy F foldable phone at its annual Samsung Developers’ Conference in San Francisco. The lighting was kept dim to hide the phone’s special features. But it was clear that it can bend and fold. Most likely Samsung will first launch the Galaxy S10, Galaxy S10+ and a Galaxy S10 Lite next March. The company usually launches Galaxy Note devices only in August. So, it could well be another nine months before the device hits the market.